Tonight I met a friend and we grabbed our cameras and tripods and headed out onto the Krefelder Str. 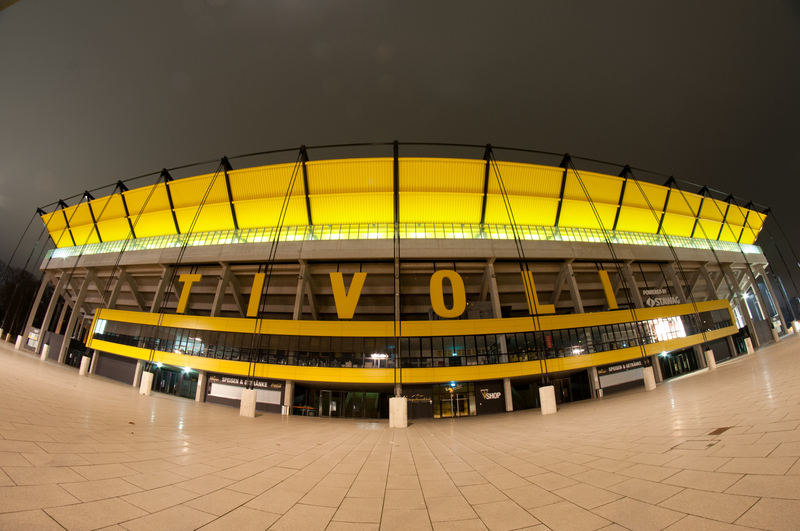 and the soccer stadium (Tivoli) Aachen to take some images. I shot with a Tokina 11-16 f2.8 and my good old Samyang 8 mm f3.5. Nice lenses, I am starting to develop a taste for wide-angle lenses. While the Samyang is a sheer monster concerning the opening angle (and distortion…) the Tokina 11-16 shows other strengths. While 11 mm is still very wide the distortion is not that heavy. 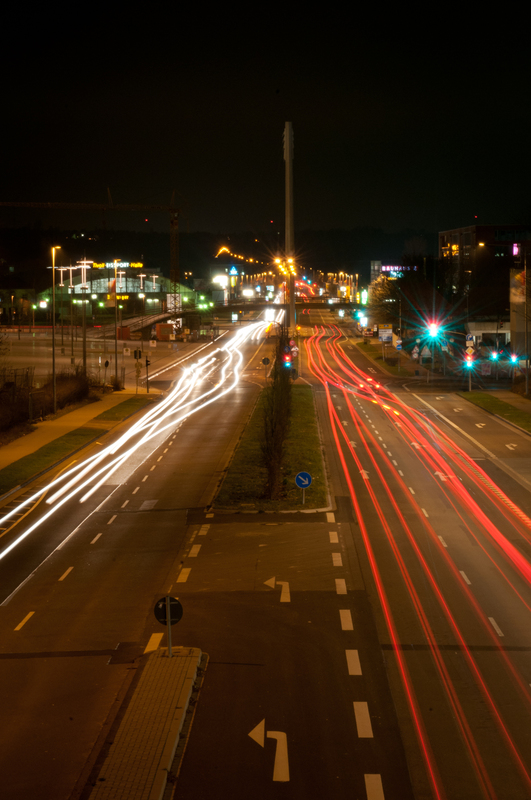 The first image (being the long-time exposure of the street with blurred traffic) and the subsequent two were shot with the Tokina 11-16mm f2.8 lens. 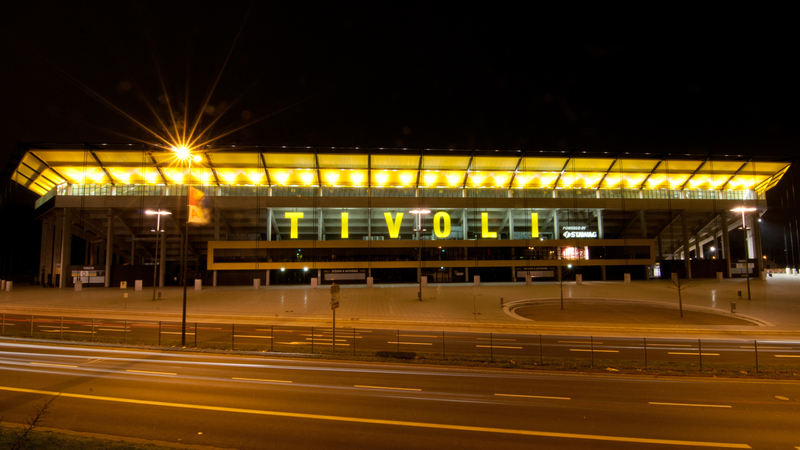 Especially the side view of the Tivoli stadium is remarkable, because it was shot at 11mm but there is no significant distortion. Nice lens. 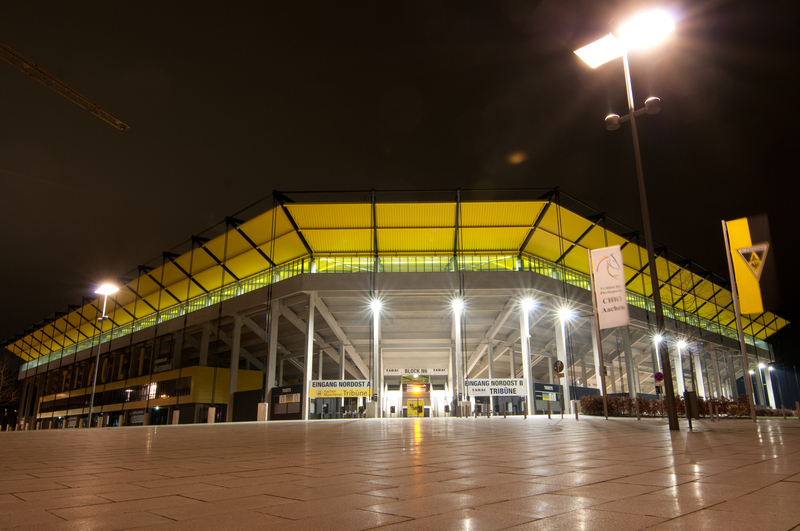 Only the last image, as you can obviously notice, is the work of the 8 mm Samyang.